Richard Paul Kiley (March 31, 1922 – March 5, 1999) was an American stage, television, and film actor. He is best known for his distinguished theatrical career in which he twice won the Tony Award for Best Actor In A Musical. Kiley created the role of Don Quixote in the original 1965 production of the Broadway musical Man of La Mancha and was the first to sing and record "The Impossible Dream", the hit song from the show. In the 1953 hit musical Kismet, he played the Caliph and was one of the quartet introducing the song "And This Is My Beloved". Additionally, he won three Emmy Awards and two Golden Globe Awards during his 50-year career and his "sonorous baritone" was also featured in the narration of a number of documentaries and other films. At the time of his death, Kiley was described as "one of theater's most distinguished and versatile actors" and as "an indispensable actor, the kind of performer who could be called on to play kings and commoners and a diversity of characters in between." Kiley was born in Chicago, Illinois, and raised Roman Catholic. He graduated from Mt. Carmel High School in 1939, and after a year at Loyola University Chicago he left to study acting at Chicago's Barnum Dramatic School. In the late 40s, he performed in Chicago-area summer stock theaters with actors such as Alan Furlan. Following his service in the United States Navy in World War II, he returned to Chicago working as an actor and announcer on radio before moving to New York City. In New York he studied singing with Ray Smolover. Kiley with Peter Falk in Columbo, 1974. Kiley's work on stage included Kismet, No Strings (which was Richard Rodgers's first stage musical after the death of Oscar Hammerstein II) in which Rodgers wrote both music and lyrics, the Buddy Hackett vehicle I Had a Ball, and the lead roles in Redhead, Man of La Mancha, and the play The Incomparable Max. Kiley later starred in the television play Patterns, which aired live on January 12, 1955. It caused a sensation and won an Emmy for its writer, Rod Serling. He played the role of John Malcolm Patterson, future Attorney General of Alabama (and later Governor of Alabama), in the 1955 film The Phenix City Story. Kiley also portrayed math teacher Joshua Edwards, whose phonograph records were smashed by delinquents in Blackboard Jungle in 1955. Kiley won Tony Awards for Best Actor in a Musical for Redhead in 1959 and Man of La Mancha in 1966. The dual role of middle-aged author Cervantes and his fictional creation Quixote is one of the few musical roles that requires the talents of both leading man and character actor. Kiley said while La Mancha was on Broadway that despite the fact he had grown tired of playing leading men, he would always be grateful for having been given the chance to perform in La Mancha. Kiley won three Emmy Awards and two Golden Globe Awards for his work in television. He won both an Emmy and Golden Globe awards for The Thorn Birds (as Paddy, Rachel Ward's father) (1983) and A Year in the Life (1986, 1987–1988). His third Emmy win was for Guest Actor in a Drama Series, for an episode of Picket Fences. Other television work included as the murderous police commissioner on Columbo (1974, the episode "A Friend In Deed"), his appearance as Gideon Seyetik in the Star Trek: Deep Space Nine episode "Second Sight", as well as guest roles on Ally McBeal, Hawaii Five-O and Gunsmoke. He narrated the award-winning seven-part 1986 PBS documentary Planet Earth. Kiley's baritone made him a favorite to narrate documentaries for television. In Jurassic Park, Kiley's voice is used to narrate the park's vehicle tour. Kiley was introduced as the narrator for the tour first in the novel by Michael Crichton, and later in the film adaptation by Steven Spielberg where the owner of the park said he "spared no expense" hiring Kiley. Visitors to Universal's Islands of Adventure theme park in Orlando, Florida, and Universal Studios in Hollywood hear Kiley as the narrator of the Jurassic Park River Adventure ride. In 1993, Christian filmmakers set out to make a film which would be a Word-for-Word of the Gospel. Kiley was chosen to do a narration style film as the Apostle Matthew in his latter days. He is seen doing many flashbacks as Matthew in the days when Jesus walked the Earth. From 1994 until 1998, Kiley narrated the A&E documentary television series Mysteries of the Bible. His final acting role was in the 1999 TV movie Blue Moon, which debuted the month after his death. Kiley died of an unspecified bone marrow disease at Horton Hospital in Middletown, New York, on March 5, 1999, less than a month before his 77th birthday. He was survived by his wife and six children, sons David and Michael Kiley and daughters Kathleen, Dorothea, Erin and Deirdre. His remains were interred in Warwick. Broadway's lights went dark in his honor. 1956 Studio One Mr. Dean Episode: "The Landlady's Daughter"
1958 Alfred Hitchcock Presents Harry Adams Episode: "Crooked Road"
1970 Gunsmoke Lewis Stark Episode: "Stark"
1971 Gunsmoke Tom Lynott Episode: "Lynott"
1972 Gunsmoke Bohannon Episode: "Bohannon"
1973 Gunsmoke Will Stambridge Episode: "Kitty's Love Affair"
1986 The Twilight Zone (1985 TV series) Lancelot Episode: "The Last Defender of Camelot (The Twilight Zone)"
1998 Ally McBeal Seymore Little Episode: "Once in a Lifetime"
^ Tom Vallance (1999-03-11). "Obituary: Richard Kiley – Arts & Entertainment". The Independent. Retrieved 2013-12-10. ^ a b MEL GUSSOWPublished: March 06, 1999 (1999-03-06). "Richard Kiley, the Man of La Mancha, Is Dead at 76 – New York Times". Nytimes.com. Retrieved 2013-12-10. ^ "Overview for Richard Kiley". Tcm.com. Retrieved 2013-12-10. ^ "The Milwaukee Journal". July 30, 1985. ^ "Earl Wilson". Toledo Blade. September 22, 1977. Man of La Mancha is a 1965 musical with a book by Dale Wasserman, lyrics by Joe Darion, and music by Mitch Leigh. It is adapted from Wasserman's non-musical 1959 teleplay I, Don Quixote, which was in turn inspired by Miguel de Cervantes and his 17th-century novel Don Quixote. It tells the story of the "mad" knight Don Quixote as a play within a play, performed by Cervantes and his fellow prisoners as he awaits a hearing with the Spanish Inquisition. The work is not and does not pretend to be a faithful rendition of either Cervantes' life or Don Quixote; for example, the historical Cervantes had no contact with the Spanish Inquisition, and Don Quixote's horse Rocinante is never stolen. Wasserman complained repeatedly about people taking the work as a musical version of Don Quixote. Lost in La Mancha is a 2002 documentary film about the making of Terry Gilliam's first attempt at The Man Who Killed Don Quixote. His effort was a film adaptation of the novel Don Quixote by Miguel de Cervantes. The documentary was shot in 2000 during Gilliam's first attempt to make the film, as an intended work of the genre known as the "making-of". But Gilliam's failure to complete his movie resulted in the documentary filmmakers retitling their work as Lost in la Mancha and releasing it independently. James Emil Coco was an American character actor and singer. He was nominated for an Academy Award for Best Supporting Actor for Only When I Laugh (1981). David Hoyt Canary was an American actor. Canary is best known for his role as ranch foreman Candy Canaday in the NBC Western drama Bonanza, and as Adam Chandler in the television soap opera All My Children, for which he received sixteen Daytime Emmy Award nominations and won five times. Andre Keith Braugher is an American actor. 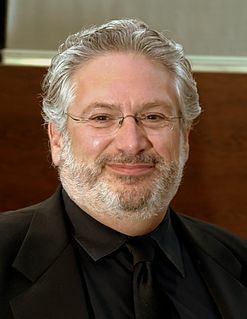 He is best known for his role as Captain Raymond Holt on the television series Brooklyn Nine-Nine and the television film Homicide: The Movie, as well as his roles as Owen Thoreau Jr. on the television series Men of a Certain Age. 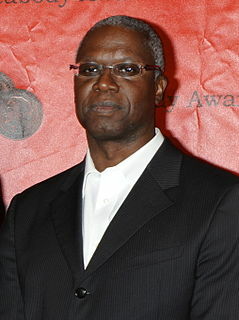 Braugher has received two Golden Globe Award nominations and ten Primetime Emmy Award nominations. Joan Diener was an American theatre actress and singer with a three-and-a-half-octave range. Tony Martínez was an actor, singer, and bandleader originally from San Juan, Puerto Rico, best remembered for having played the Mexican farmhand Pepino García in the ABC and CBS situation comedy The Real McCoys from 1957 to 1963. Along with Leo Carrillo and Desi Arnaz, Sr., Martinez was among the earliest Latinos featured in regular television roles during the early years of the medium.